When it comes to exercising, most of us are all too familiar with the usual excuses. You know the ones - “my stomach doesn’t feel well”, “it’s that time of the month” or “my eczema is acting up”. We've got days when we’re just not feeling it, so it’s only natural that we find it tough to give ourselves a little push every single time. Yet, there are folks decades older than us who don’t seem to have the word ‘excuse’ in their dictionary. 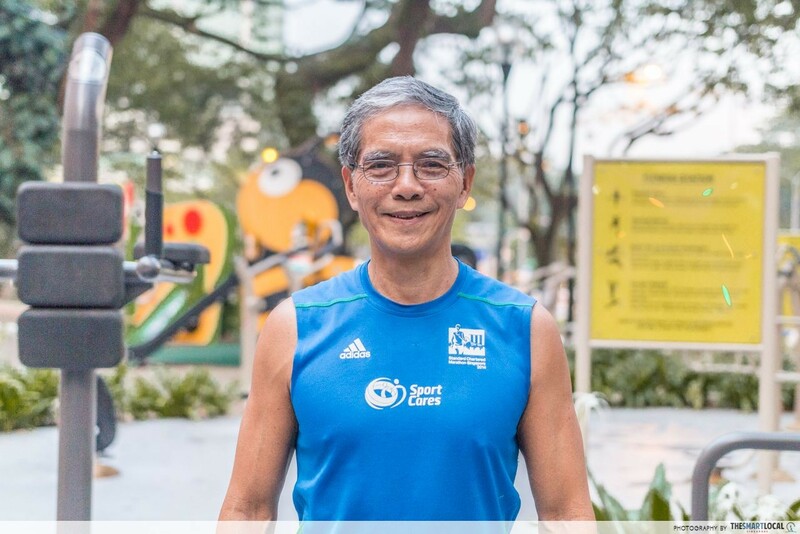 For these 5 elderly Singaporeans, keeping fit is part of everyday life. 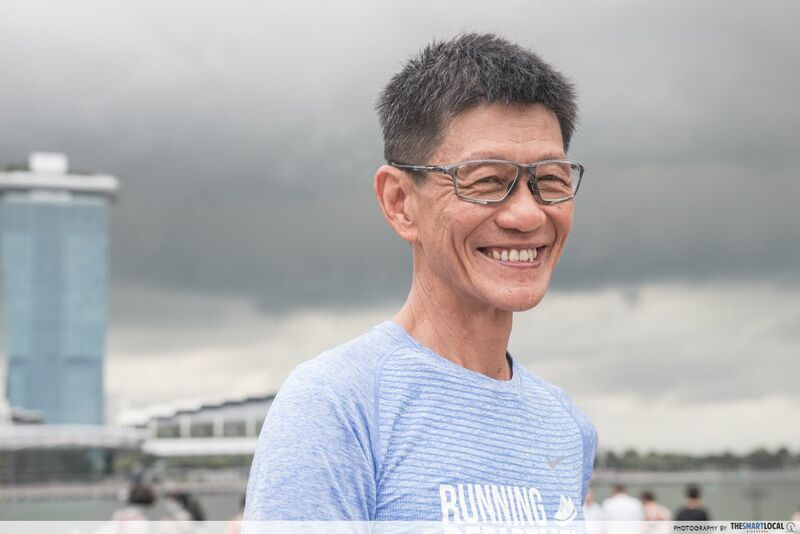 From broken collarbones to a battle with cancer, here are the stories of their journey towards a healthy lifestyle, and their motivations in living up to the phrase “age is but a number”. You can almost say that Ngai Hin Kwok has an addiction - that is, to feeling strength and vigor in his fists whenever he clenches them. Having done calisthenics for 27 years, pull ups and even single-hand push ups are no big deal for him. 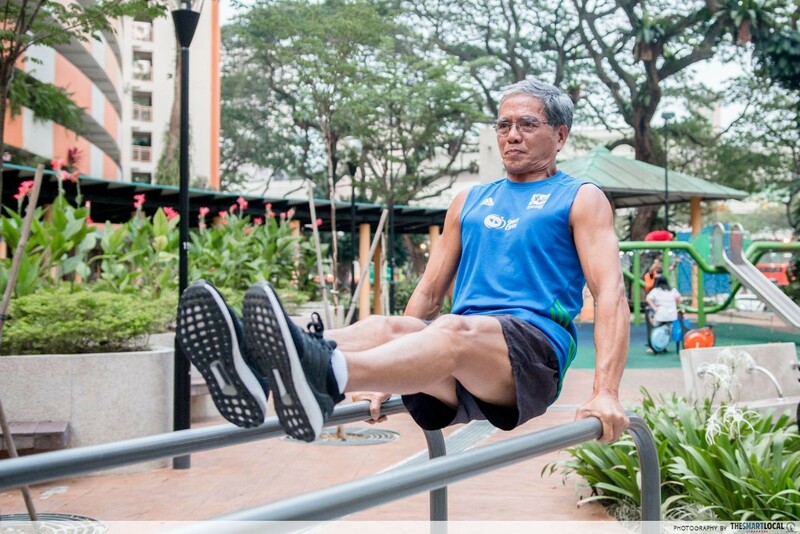 When asked for his best workout record in recent years, the humble Mr. Ngai chuckled bashfully and said that it was 40 pull ups, and 120 push ups. The L-Seat - an exercise you can only do with tough core muscles. 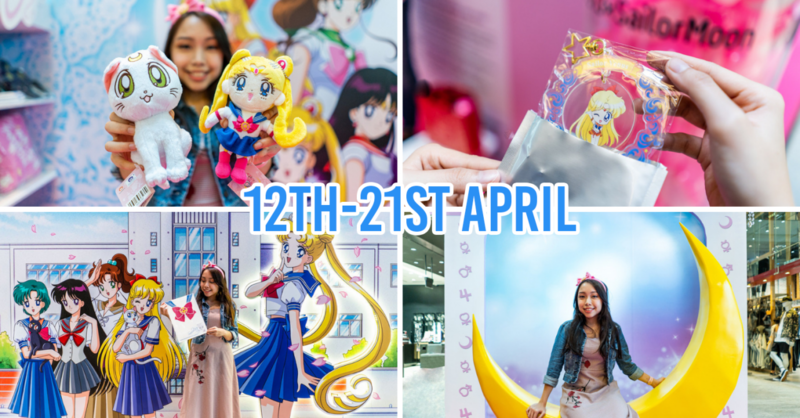 “It feels good to have the energy to be able to go out and about. If you sit at home all day, you’ll feel moody, lethargic, and your muscles will start to weaken.” he explains. 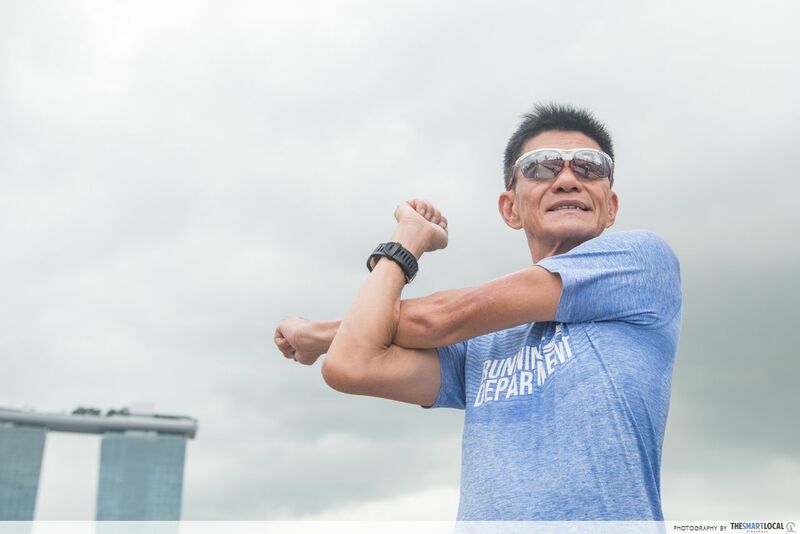 It has been 3 years since Mr. Ngai has joined Team Strong Silvers, a calisthenics group for seniors - that’s 3 years of daily calisthenics training plus a 20km bike ride every Saturday. “I feel less tired now, and my high cholesterol level has disappeared.” he smiled. One look at Lily Saw and I asked myself “Do you even lift, bruh?”. The answer is no, I couldn’t - not without feeling all sorts of muscle strains at least. With radiant skin and a hip pixie cut, Lily didn’t strike me as a grandmother in her 70’s. 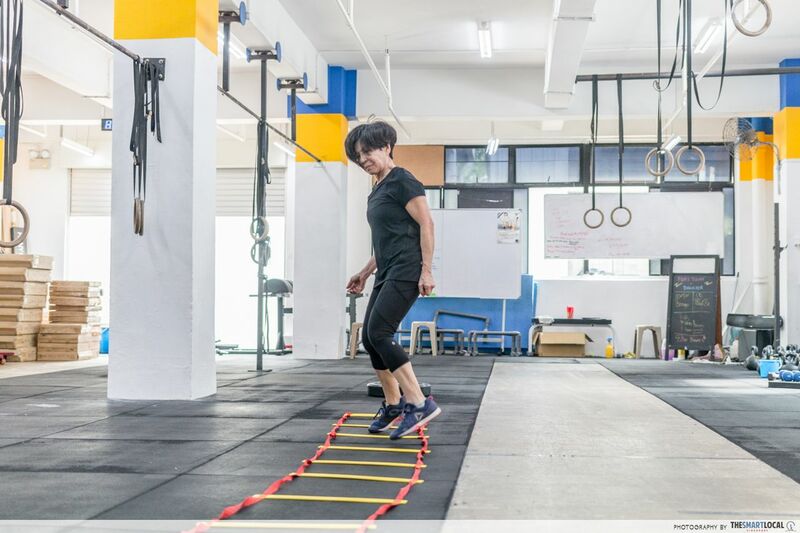 Introduced by her friend to CrossFit about 3 years ago, she now trains 4 times a week, and even goes for other fitness classes like pilates and gyro on top of that. 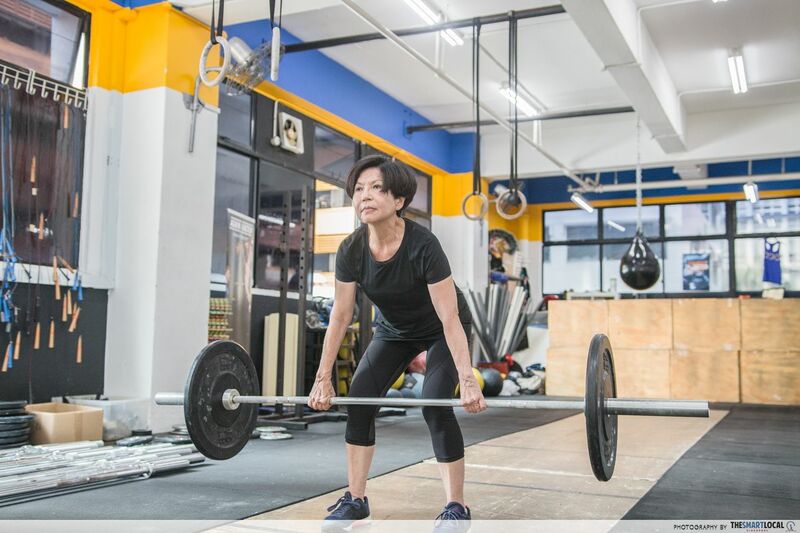 It is precisely this willingness to get out of her comfort zone that makes Lily so capable of amazing feats - after about 2-3 years of training, a typical warm-up of hers includes 15-35 squats, followed by push-ups, leg lifts, kettlebell swings, and deadlifts. Phew. Her best deadlift record? Over 30kg. “I can’t sit still, so I need to be able to do things. I need to be independent even when I’m old.” says Lily with fierce conviction. Standing tall and lean at over 175 cm tall, Abraham Sim exudes an almost boyish charm with his cheeky smile and playful jokes. 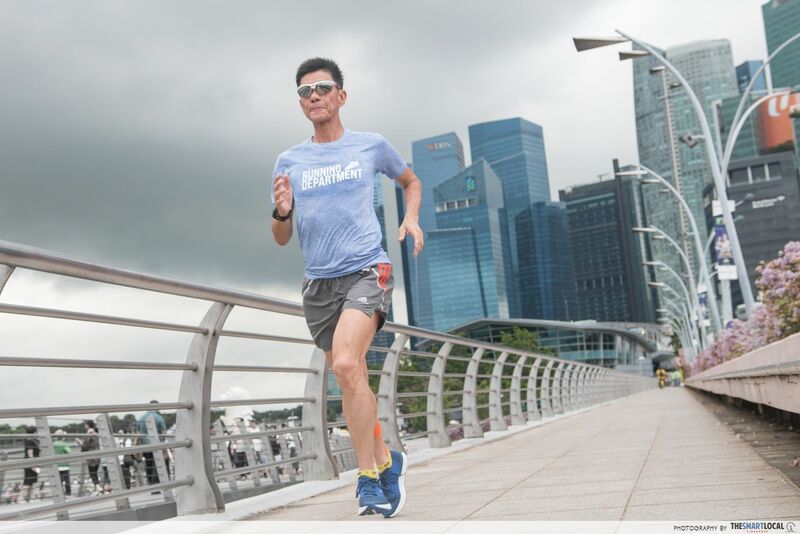 He can’t sit still and likes to challenge himself - the runner flies a couple of times each year to places like Tokyo, London and Berlin to participate in marathons worldwide. “I don’t even really enjoy travelling,” he says. To prep for his marathons, Abraham runs up to 30 km about 2-3 times a week. “It’ll go up to 42 km if there’s an upcoming race.” he said, with an excited twinkle in his eye. But beneath all that mischief, Abraham’s humility and experience still shone through. When asked what was his proudest achievement, I was expecting a personal best for a reply. Instead, he answered without hesitation that it was seeing his daughter run a marathon in less than 4 hours. “As you get older, rest is important.” he advised. “This was hard for an active person like me to accept at first. But I found it to be so true, because my timing was as good, if not better, after rest.” he said, grinning. 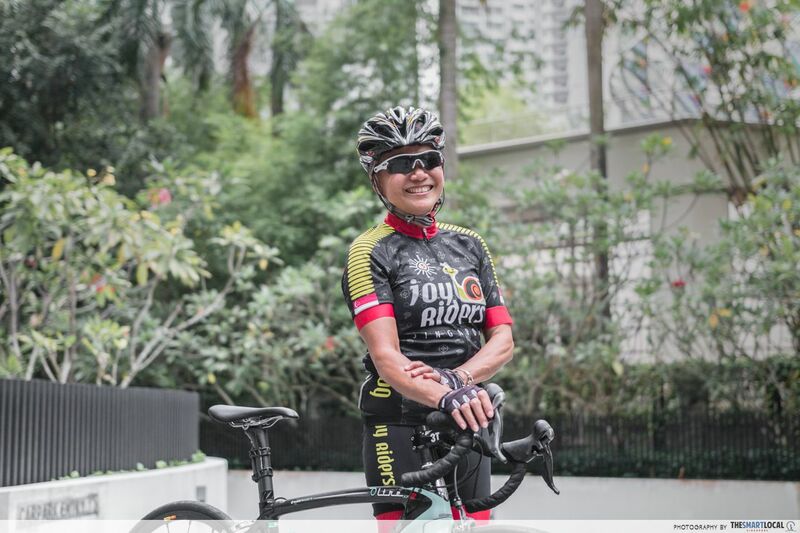 Exiting the lift with a bright head wrap, snazzy bicycle and bright smile, Joyce Leong is a real head-turner, even in her 60s. “You sure you don’t need a drink?” she asked. “Sure ah?” she asked once more in earnest, worried that we might be uncomfortable in any way during the visit. 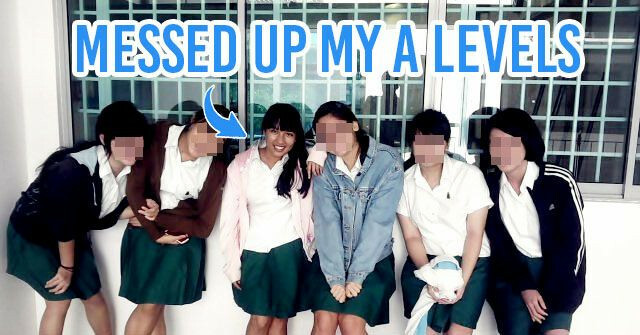 It was a tiny gesture of hospitality, but it was telling of her kindness, which make her a perfect leader of sorts. 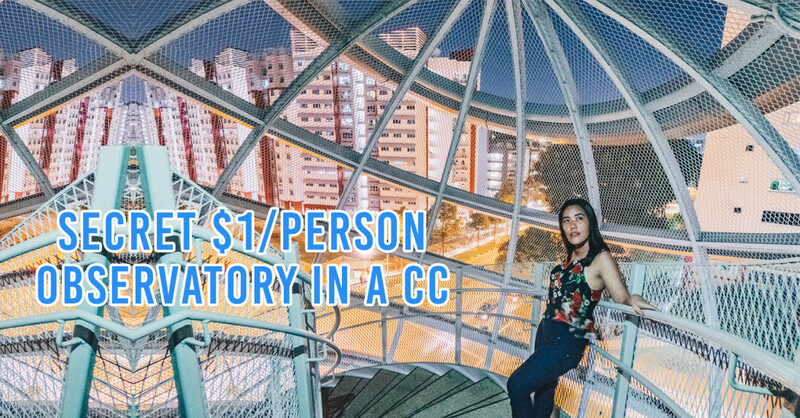 It’s no wonder that she’s the founder of Joyriders, Singapore’s largest recreational cycling community. Lifting her head wrap, she showed off her new hairdo: a buzz cut. 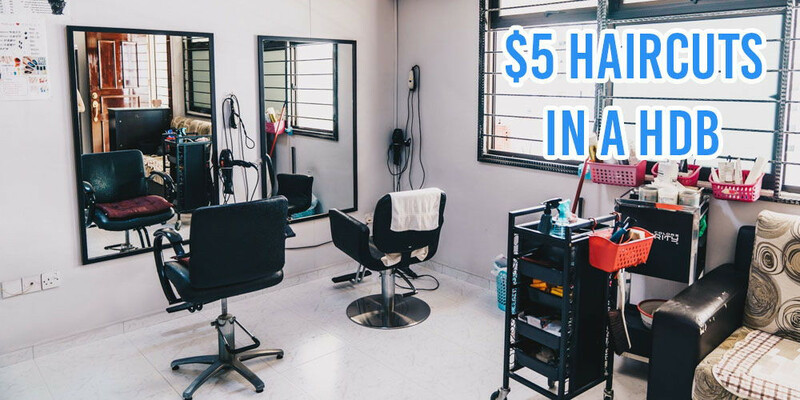 Earlier this year, she chopped her hair off for Hair For Hope - and since decided to keep it that way. “It gets quite cold though,” she laughed shyly. 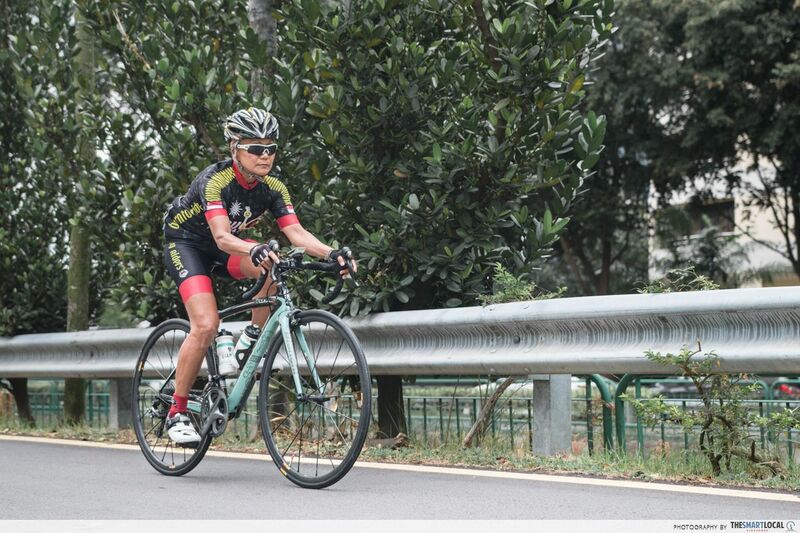 Once a cyclist who represented a nation in the SEA Games, we were surprised to know that cycling wasn’t always her first love. After a back injury from her years of marathon running, Joyce turned her attention solely to cycling and never backpedalled. Today, she cycles 6 times a week, for a distance of about 52 - 120km. 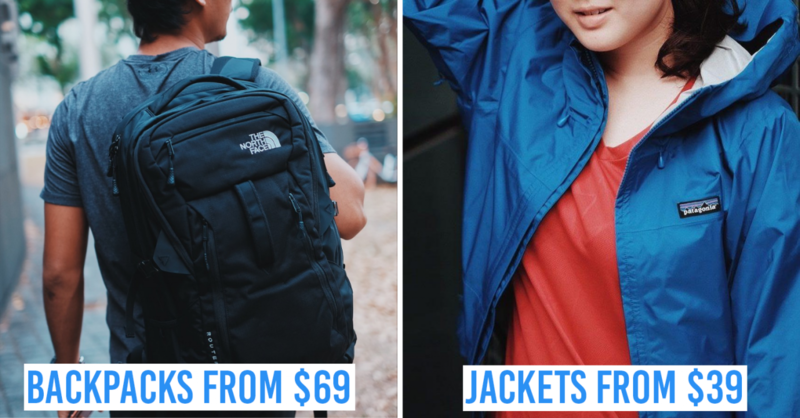 She then added “But make sure you have money lah!” before bursting into a guffaw. Note: Joyriders can be contacted here if you’re interested in finding out more about cycling. 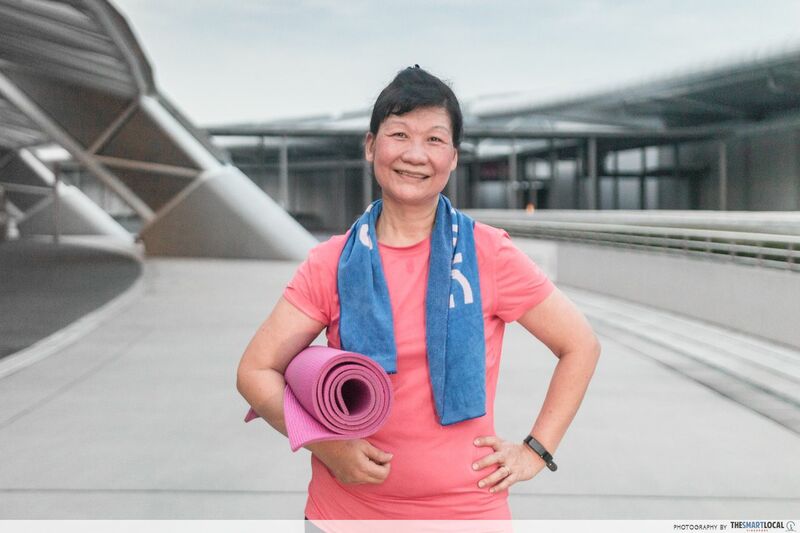 At first glance, Nancy Loh simply looks fitter than most her age - she's tall with pink, rosy cheeks, and decked out in a sporty attire, getting ready for her weekly yoga session. 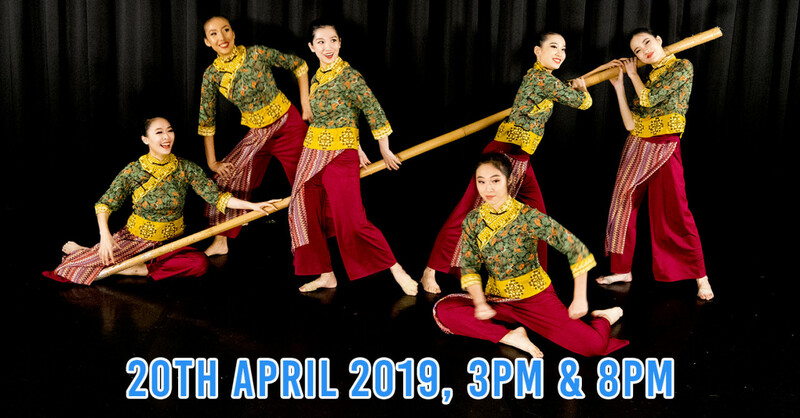 Despite having a 9-6 job, Nancy takes time out of her schedule to make way for 2 yoga classes, a 2-3km run, and up to 2 dragonboat training sessions each week. But that’s not all there is to her. Behind Nancy’s approachable and jovial front, there stands a triumphant victor - she’s a breast cancer survivor. Diagnosed in 2002, her battle wasn’t an easy one. “My son was young then, and he would tell me to go away, saying that I looked ugly.” she recounted. But Nancy didn’t give up. Instead, she fought back courageously, took charge of her life, and made time to join the Breast Cancer Foundation’s dragon boating team - Paddlers in the Pink. This was to strengthen her arm, she explained, which was important for those who have undergone breast cancer surgery. Here’s Nancy (in yellow) seated right at the front as a pacer - a position only for the stronger paddlers. 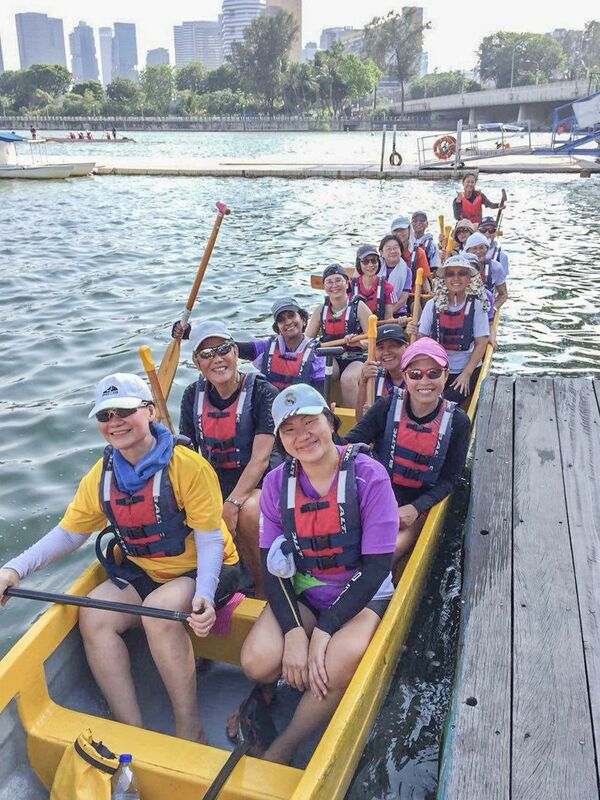 Today, Nancy is part of the Singapore Cancer Society’s “Purple Dragon” dragon boating team. She also has countless medals under her belt, some of them from competitions in Hong Kong, Berlin, and Australia. As we parted, she left us with a thought we couldn’t shake out of our minds, long after the interview ended. 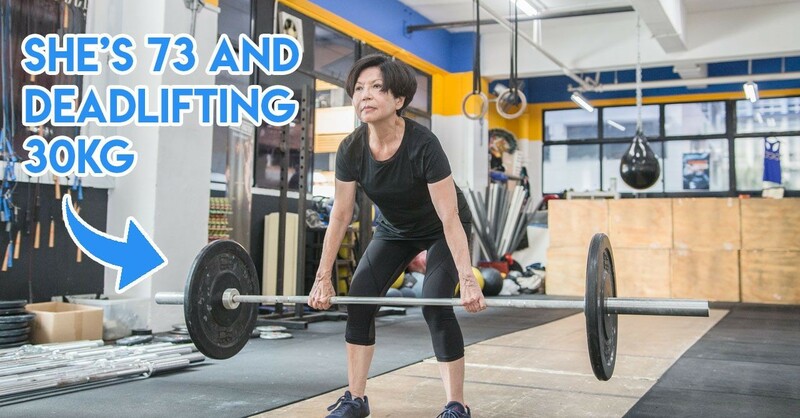 While finding the willpower to stay committed to a healthy lifestyle just like these 5 fitspo elderly isn’t easy - finding a reason to get yourself thinking about it is, and that is really all you need. Be it to travel the world with your loved ones, or simply feel less sluggish at work, asking yourself “why” you’d want to be fitter is enough to get yourself started on a journey towards a more active lifestyle. 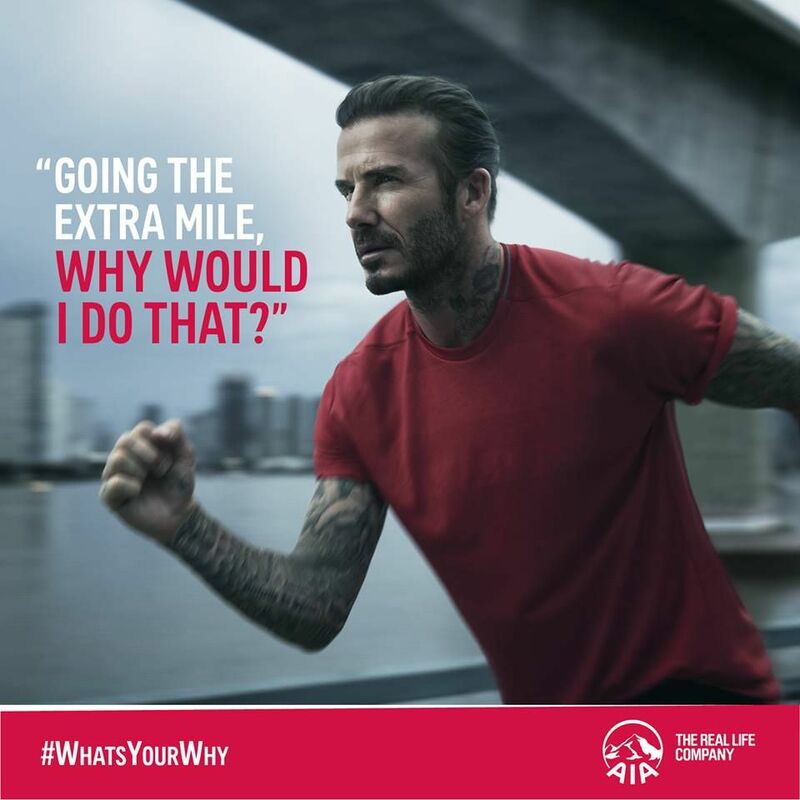 As for the extra boost that we’ll all be needing, AIA’s got our backs with their ongoing What’s Your Why campaign. With a goal to uncover the motivation behind everybody’s wish for a healthier life, AIA is offering a chance for you to win a Fitbit Flex 2 as part of its What’s Your Why campaign, so that you can set goals for yourself and monitor your progress. 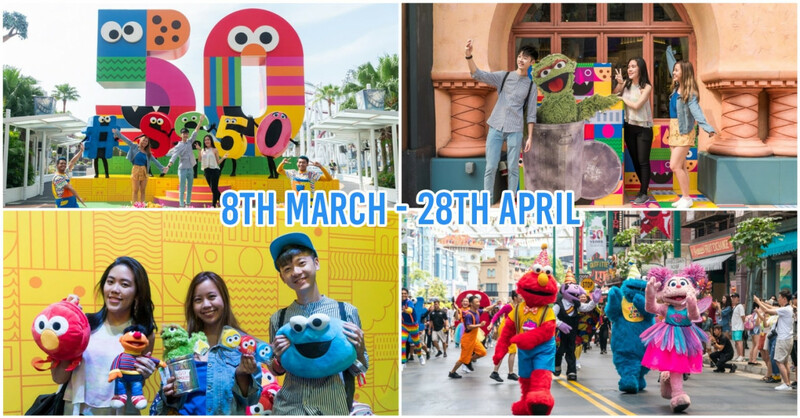 All you have to do is share the reason why you’d like to live longer, healthier and better here from now till 30th November 2017, and AIA will help you with the 'how'. In addition, there’s AIA Vitality, a wellness programme designed to make healthy living more accessible, and even more wallet-friendly. 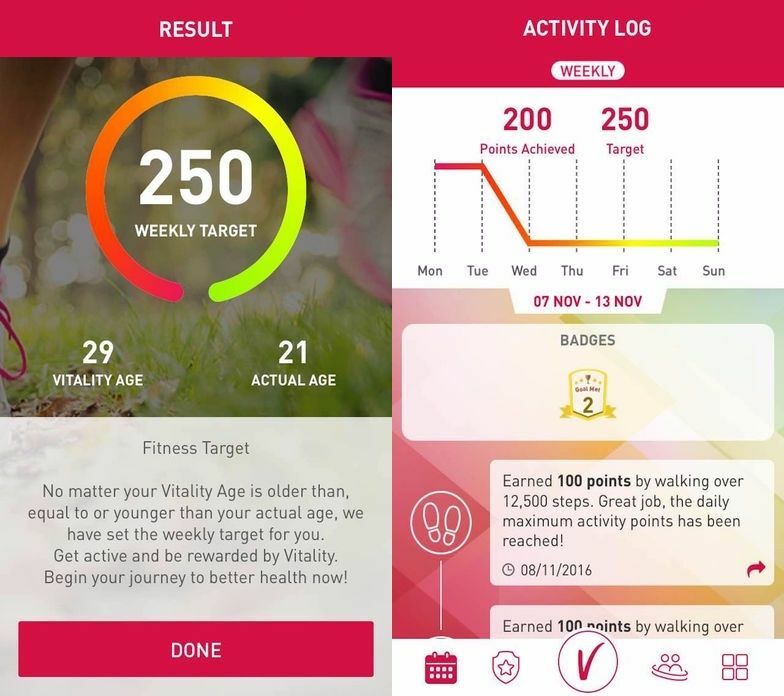 It includes not only retail discounts, but also in-depth health assessments and recommendations as well as weekly rewards on the AIA Vitality Weekly Challenges to motivate members to be more active. Plus, AIA Vitality members can keep track and redeem freebies by downloading the AIA Vitality Weekly Challenge mobile app on the Apple's App Store or on Google Play. So don’t be too quick to change your mind about that run you’ve promised yourself. I know I won’t - at least not after talking to those inspirational elderly thrice my age, with exercise regimens thrice the intensity of my own. Find out more about AIA’s “What’s Your Why” here! 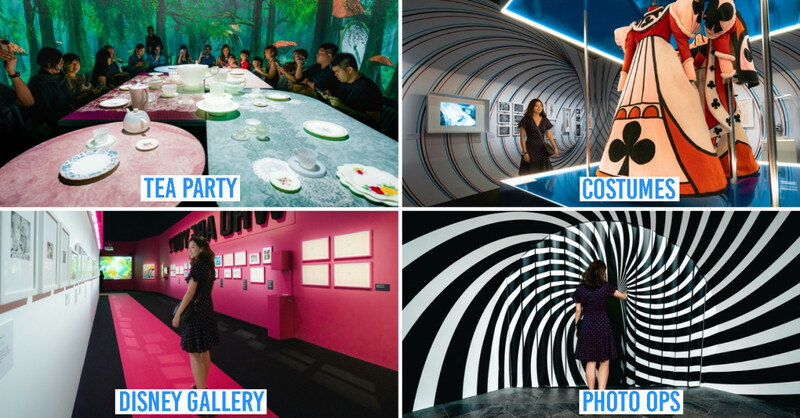 This post was brought to you by AIA Singapore.